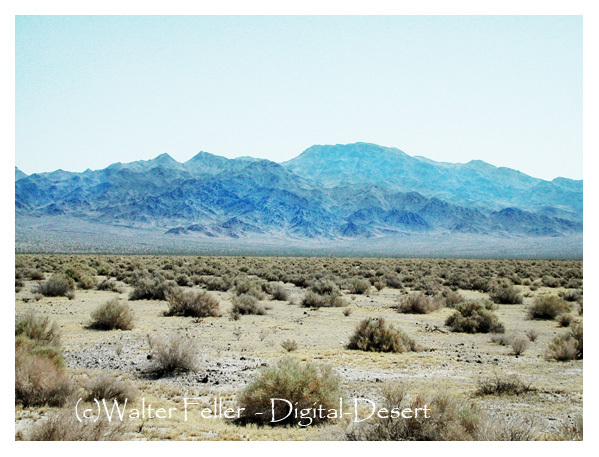 NATURAL RESOURCES: The Amargosa River Valley, Eagle Mountain and Resting Spring Range spread out across this wilderness. Vast bajadas sweep up to the picturesque north-south spine of the Resting Spring Mountain Range. Eagle Mountain, an isolated peak, juts abruptly from the flat expanse of the Amargosa River Valley, its colorful features standing out among the sparsely covered valley floor. The Resting Spring Range, for which this area is named, includes low rolling hills that give way to extremely coarse rugged rock formations with jagged peaks and deep canyons. Elevations range from 2,040 feet and extend to 5,264 feet to the summit of Stewart Peak. In some places, the rocks show off a variety of colors ranging from subdued browns and tans to more intense pinks, reds, greens and black. The range provides habitat for desert bighorn sheep, wild horses and burros and raptors, including golden eagles and prairie falcons. ACCESS: Access this wilderness area from State Highways 127 or 178.